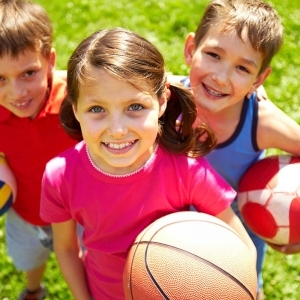 Holiday Sports Camps for Children. 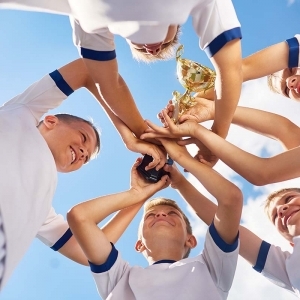 All Sports Plus Camps are designed to offer a FUN and SAFE environment for Children to learn New Sports and Activities while meeting new friends. 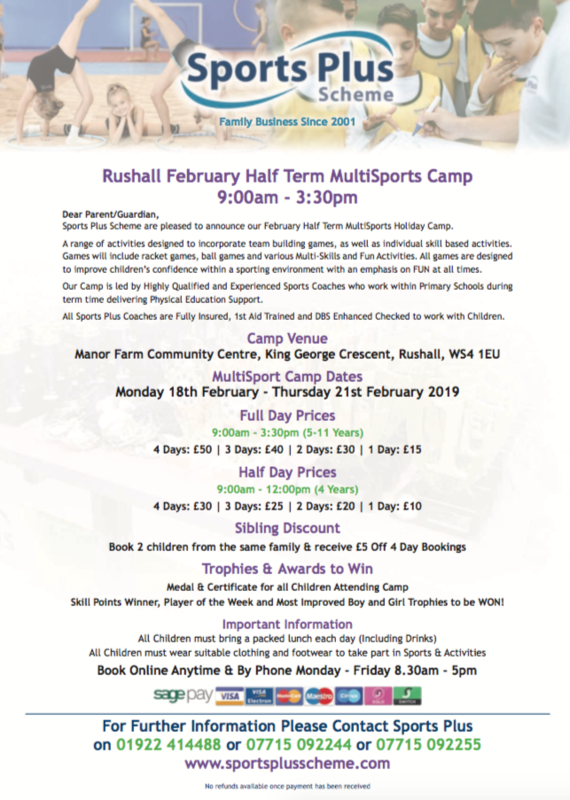 We deliver HUB Camps and School Camps for Children in the Holidays, Our Hub Camps are open to all children from different Schools and Our School Camps are restricted to the children attending the School the Camp is delivered at. 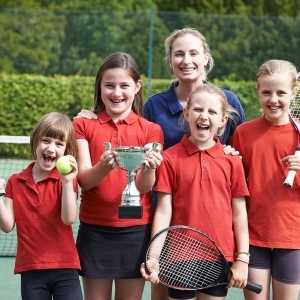 CAMPS DELIVERED BY HIGHLY QUALIFIED SPORTS COACHES. All Sports Plus Camps are delivered by Highly Qualified & Experienced Sports Coaches/Teachers that work within Schools Term Time. Our Camps are carefully planned and delivered to ensure every child has a positive experience. All staff are Fully Insured, DBS Enhanced Checked,1st Aid Trained and have Completed a Safeguarding Course to work with Children. What Parents & Kids say. My grandson has attended a couple of the camps. He is only five and didn’t know anyone else going but he had a fantastic time, made friends and was encouraged by the professional instructors. He was so thrilled with the medals he received. 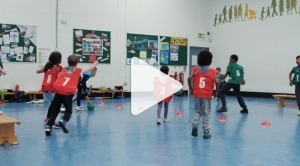 This is a fantastic way of building children’s confidence whilst they are having a healthy and enjoyable time. Would thoroughly recommend to parents and grandparents! 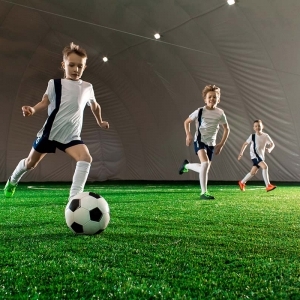 My son has attended two of the sports holiday camps and he thoroughly enjoyed them. The team are extremely professional. friendly and passionate about providing the best possible experience for the children. A first class company. My son spend many a happy time with these guys and really found a love for sport and teamwork. Sports Plus has helped my daughter with her confidence in sport. Highly recommend. Highly recommend! 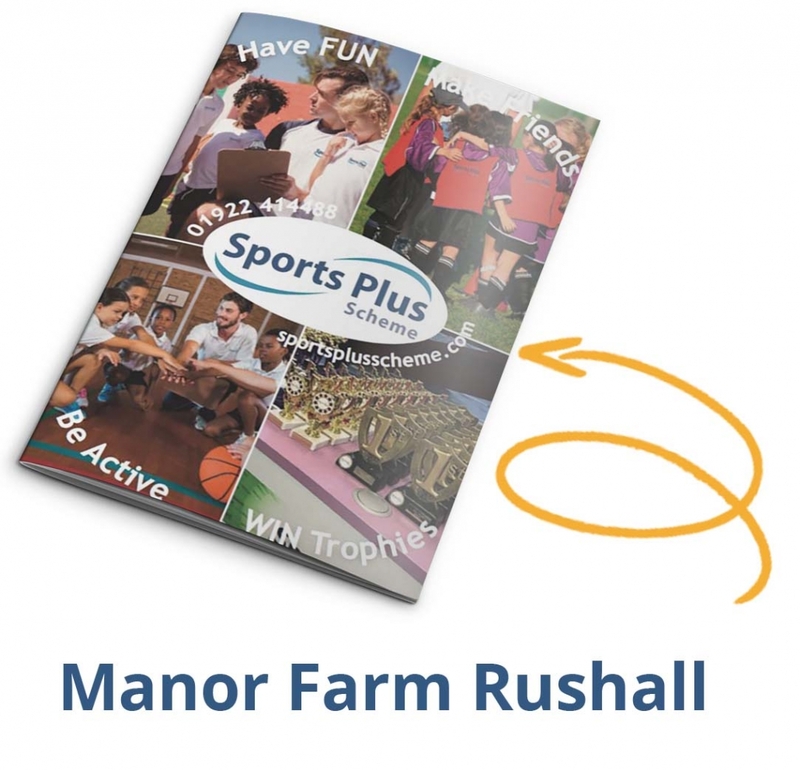 Great staff, great facilities, lots of activities & are varied & for various ages. Wouldn’t use anyone else! My Grandchildren love these clubs and the staff. Great Value for Money! My boys love going to the half term & summer camps! My child had such a good time, brilliant staff, excellent skills and very friendly and hardworking! My child loves the staff and the activities they do! My child really enjoys the activity that Sports Plus provides! 5 stars from us!! Our Upcoming Holiday Sports Camps. Click On Your Chosen Course Below and Follow The Simple Steps to Book Online or Book Over The Phone Office Hours With Our Team. Please Note We Run Other Hub Venues over the Academic Year across the UK. Watch This Page for New Hub Venues Coming Soon or Call Our Team on 01922 414488. 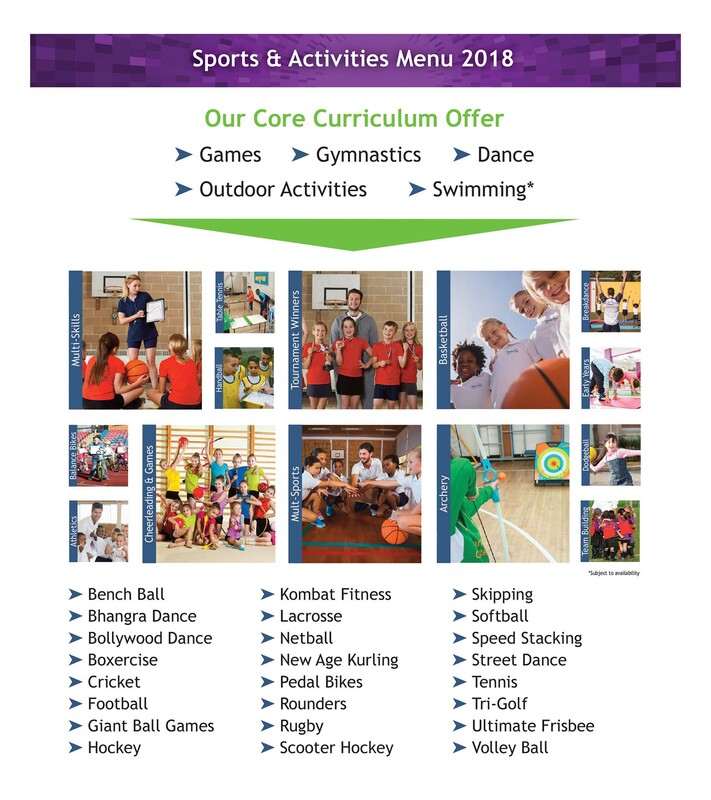 Sports Plus delivers a large number of School Sports Camps over the Academic Year to various Primary Schools across the UK. Parents are always keen for their children to attend Camps at the School they attend term time. 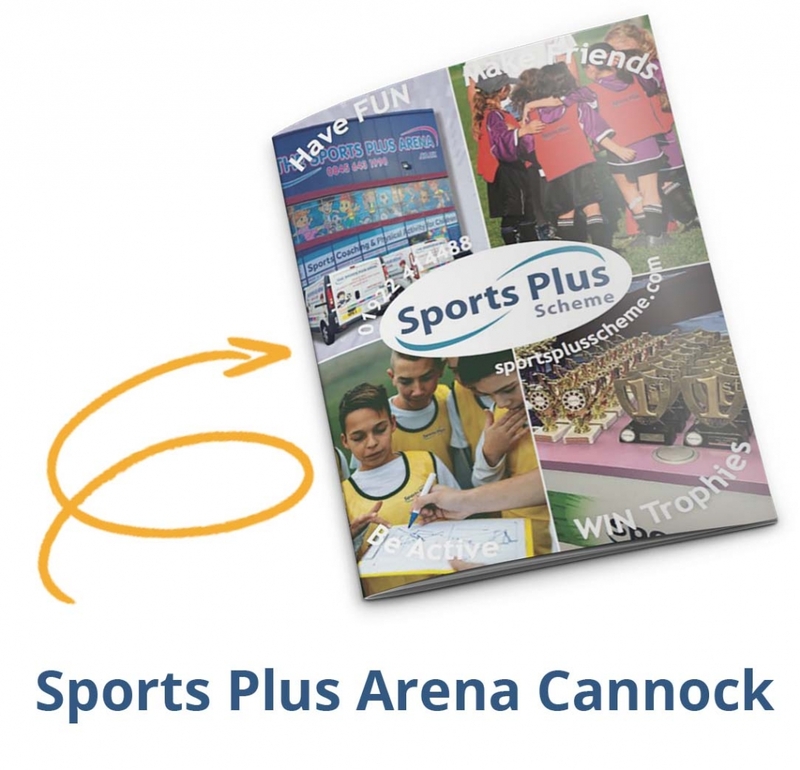 If you feel your School would benefit from a Sports Plus School Camp Please Get In Touch on 01922 414488. Is There a Discount if I Book More Than One Child? 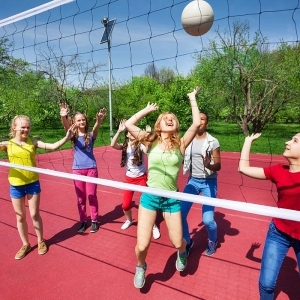 Unfortunately, no we do not accept Child Care Vouchers as we are a Physical Activity & Sports Camp provider that is governed by the Governing Bodies and Associations for the Sector. There is no requirement for us to be Ofsted Registered for Non Term Time Activities. However all are policies and procedures are aligned to Schools/Venue guidelines. 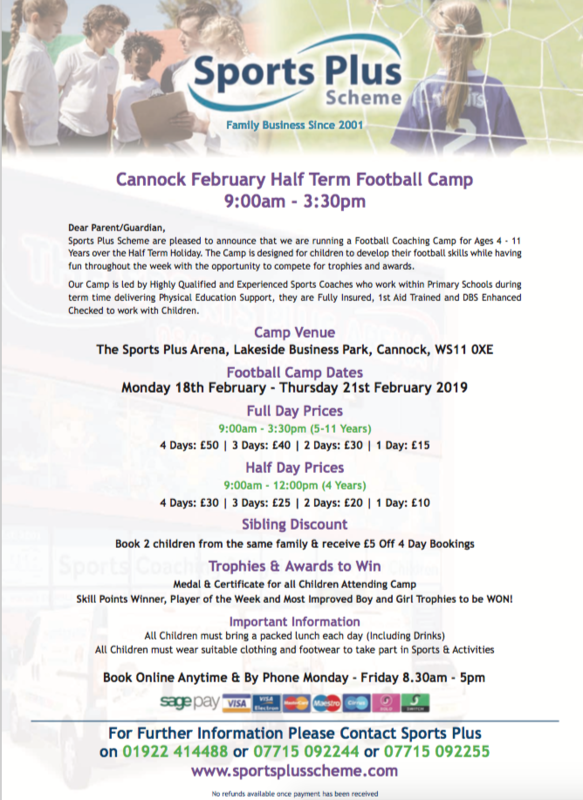 Yes you are able to pay cash on the day, however we do ask parents to book and confirm with your payment ahead of the course date to guarantee your place. This can be done via our website or by contacting our team on 01922 414488. Are Your Coaches all DBS Checked? Yes, All of our camp staff are Fully Insured, First Aid Trained, DBS Checked to Enhanced Level and Child Safeguarding Certified. Can My 4 Year Old Attend the Camp?